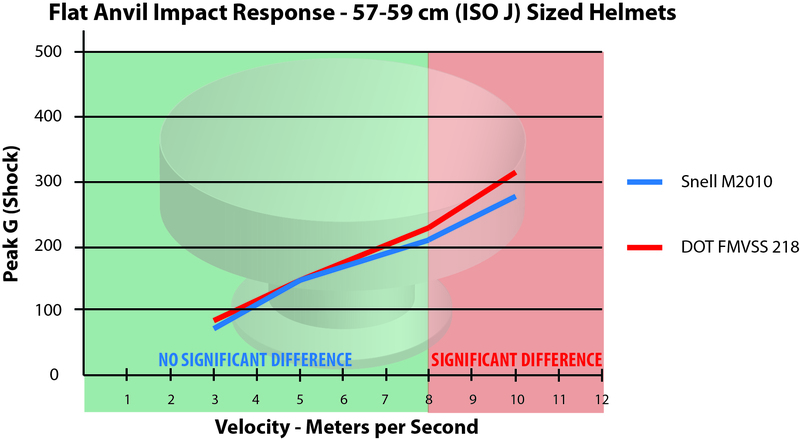 Snell presented a study at the 2015 International Research Council on Biomechanics of Injury (IRCOBI) conference demonstrating that in low severity impacts there is no significant difference in performance between M2010/DOT certified helmets and those certified to DOT only. 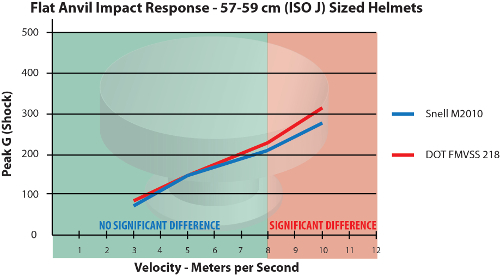 However, in higher severity tests, the DOT-only helmets transmitted significantly greater shocks than M2010/DOT certified helmets. 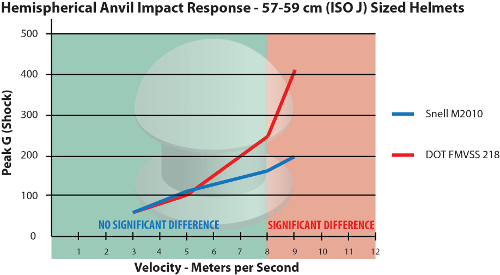 The conclusion is that Snell certification assures a premium of protective capability over and above that implied by DOT certification only. Charts based on research paper presented at 2015 IRCOBI Conference. 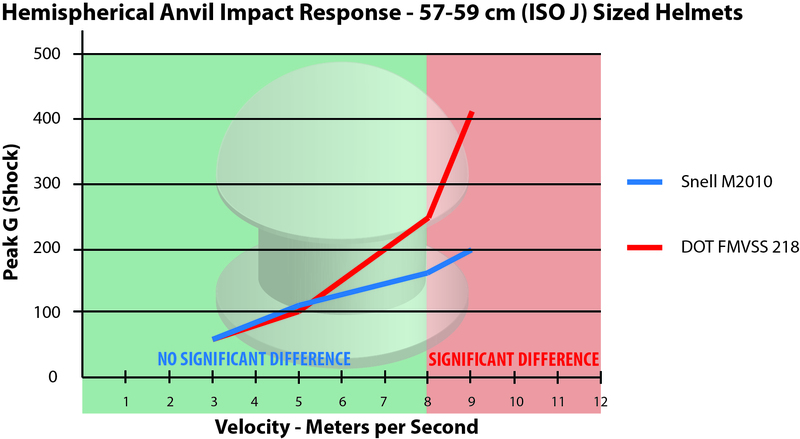 “Motorcycle Helmet Impact Response at Various Levels of Severity for Different Standard Certifications,” E. Becker, D. Anishchenko, S. Palmer, 2015 IRCOBI Conference Proceedings , Sept. 2015, Lyon, France.